The Boston Museum Of Science’s new exhibit, Reptiles: The Beautiful & the Deadly opened on Sunday. RainyDayMagazine had a first hand look at the critters over the weekend and came away completely impressed. 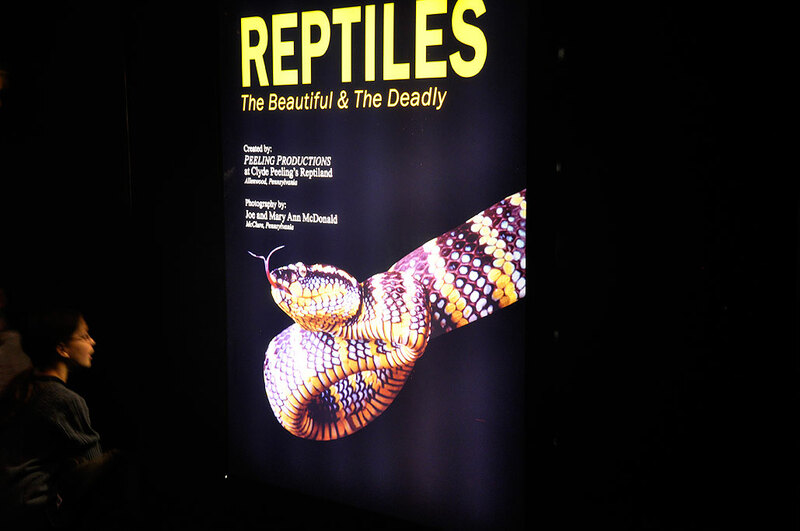 This reptile exhibition was created by Peeling Productions at Clyde Peeling’s Reptiland. It is the largest traveling reptile exhibit in the world. There are live displays of deadly snakes, multi-color lizards, and strange turtles. It is a great venue for getting really up close to observe and learn about our cold-blooded friends. The majority of reptile species are egg-layers, but some species of lizards and snakes are capable of giving live birth. Reptiles come in a range of sizes…from a tiny gecko to giant crocodile that can grow to 18 feet in length, weigh over 1,000 kg, and live in the NYC sewer system (OK, that very last bit may be an urban legend). The glass enclosures and tanks let visitors step right up to and immerse themselves in the world of baby alligators, glass climbing geckos, and beautiful poisonous snakes(mambas, cobras, vipers). Sometimes we think they were as intrigued by us as we are with them. Integrated amongst the live exhibits are numerous interactive displays. They were entertaining, visually stunning, and very informative. Want to see how the fangs of a snake swing out? There is an interactive display for that. Quick…how many vertebrae in a typical python spine? Don’t know? You will after visiting this station. 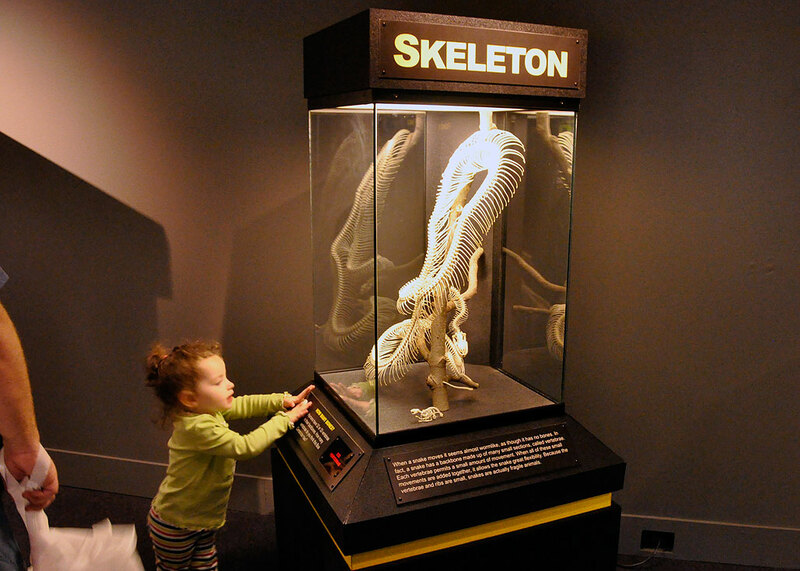 The Reptiles exhibit will be at the MOS until January 4, 2011. There will be bridge repair work in front of the MOS until April, but the entrance to the museum will be open to vehicular traffic. We had no problems driving to and parking at the MoS. For those who don’t want to deal with the traffic, there are plenty of ways to get there via public transportation. We don’t care how you get there, just make sure you go! You will not want to miss this exhibit.